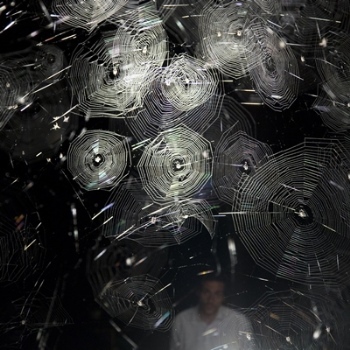 Palais de Tokyo invites Tomás Saraceno to take over 13 000m², the entirety of its exhibition spaces, for a carte blanche. It is the largest project to date realised by the artist whose work is positioned at the crossroads of art, science and architecture. On air brings together a selection of his major works and ambitious new productions transforming the Palais de Tokyo into a “cosmic jam session”. A choreography is played out in which the multiplicity and richness of the agents constituting the universe - human and non-human, visible and invisible, perceptible and imperceptible - reveal themselves as a myriad of voices in a living orchestra.